Vinyl windows deteriorating in the heat. Do the benefits of composite windows justify the price difference? You have choices when siding your home. 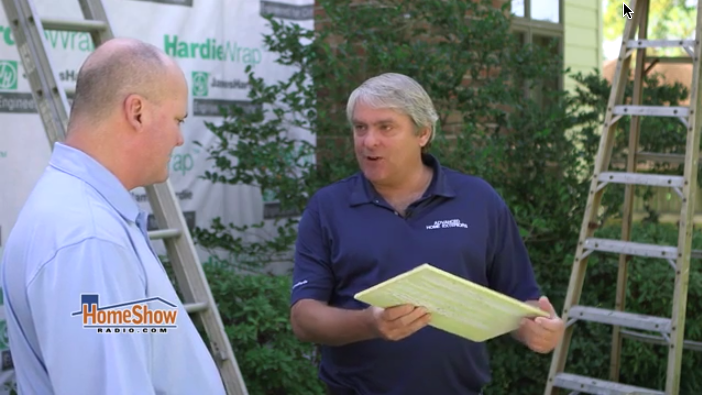 Even though Tom has endorsed Hardie for over 14 years, it’s wise to know your choices and see which is the best fit for your residing project. So, we compare three options side by side: vinyl, OSB siding and James Hardie Siding. See how each performs. Tom, I recently came across “Vinyl Planking” at local home improvement center. It seems to have several benefits, including ease of installation and cleaning, over other “wood floor” looking products.